I would love today to post a cute picture of Harper and write about some funny things she did today but my heart is so heavy with so many things that I feel like the only thing I can do is share a few of the things that I've been thinking about and praying about today. As most of you know - today is the one year anniversary of Haiti. I think about how much devastation still exists one year later and how bad the conditions are. I think about Harper's pediatrician who has taken numerous trips there to give medical aid and how he and his wife (my sweet friend from college) plan to adopt a son from there. 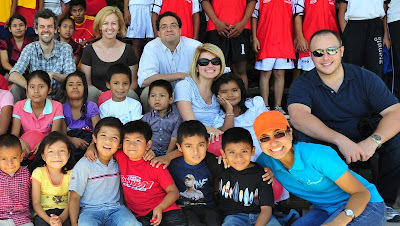 I think about my friend Dan (sitting right behind me in this picture) who works for Compassion (we traveled to El Salvador together last year) and was there with Compassion when the earthquake hit. He was trapped in an elevator shaft for days and managed to survive. He is back in Haiti today. He has also written a book about his experience and I know it will be an amazing story to read - I can't wait to get my hands on it. I also think about David Hames. He was there with Dan and he didn't survive. He was killed in their hotel. I think about his family today as they remember him.I think about the fact that over 300,000 people have died there in the last year. I know I have a LOT of readers from Australia (which is so crazy) and I'm thinking and praying for them as they endure these awful floods. Pray for the people who live there and for the devastation they are experiencing right now. I'm thinking about a blogger who I don't know but so many of my "blog friends" do know and love - Joanne who blogs at www.thesimplewife.typepad.com is just a year older than me - 38 - and yesterday she was found on her treadmill a result of a major stroke. She had to endure major brain surgery today and the outcome is not certain. She has two young daughters. Please pray for her. I spent my morning with a lady from my church, Susan Goss, who I admire so much. She used to be the woman's ministry leader at our church until God called her into full time counseling. She is outwardly beautiful and always looks so perfect, she is hilarious and fun.............but most of all she is a very Godly woman who has inspired me so much over the last few years. 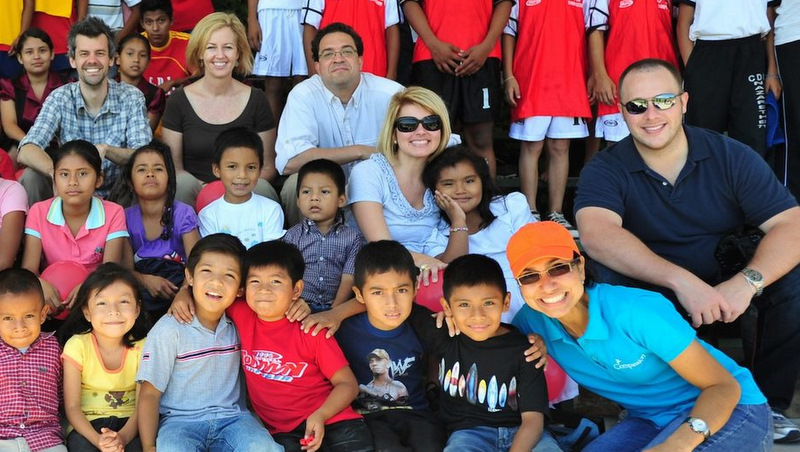 She and a few other Christian counselors recently opened The Joshua Center. They are a non profit Christian Counseling service in NW AR. I want to share a little about them because I know I have so many readers in my area and so many of you may be seeking counseling. They do a lot of marriage counseling and grief counseling. Susan even shared with me that she has recently been working with girls struggling with infertility. They also work with teenagers. It is faith based and they take clients whether they can pay full fees or not. You may not think you can afford counseling or you may just not know where to turn. Susan feels this has been a direct call from God on her life and views it as a ministry. If you know of anyone searching for help or you might need help yourself - I urge you to look up their website and contact them.